If you don’t fight friendly fraud, your business is suffering a lot of needless revenue loss. Find out how to challenge illegitimate chargebacks and recover revenue that’s rightfully yours. Creating and submitting a chargeback response, sometimes referred to as representment, can be a labor-intensive task. We offer a step-by-step guide for chargeback representment here. The bulk of that labor-intensive process is just a lot of administrative work—paper-pushing tasks you repeat over and over for each chargeback. However there are two stages, woven into those repetitive workflows, that require strategizing and intelligent decisions. If you skip these strategic phases and make the entire process a monotonous activity, you won’t be able to successfully fight friendly fraud. You’ll invest a lot of resources into a losing cause and kill your ROI. Which activities require careful thought and consideration? STRATEGIZING PHASE #1: Figure out what you should and shouldn’t fight. Some chargeback “experts” will tell you to fight everything. After all, if you don’t fight, you can’t win. However, this strategy is dangerous for two reasons. First, you could inadvertently challenge a legitimate chargeback. Second, you’ll invest time and resources into cases that can’t be won, so ROI will be minimal. Here’s how Midigator® suggests merchants fight friendly fraud. Create strategic fight rules to filter out cases that shouldn’t be fought so you’re only fighting winnable, ROI-optimized cases of confirmed friendly fraud. Midigator has automated this phase. The technology knows what should and shouldn’t be fought. If you are managing friendly fraud in-house, you need to create manual processes to evaluate each chargeback and add them to your workflows. Don’t skip this important step—your business’s reputation and ROI depend on it! STRATEGIZING PHASE #2: Customize your response. When you fight friendly fraud, you need an air-tight case. Cardholders are the bank’s customers. When it comes to processing chargeback requests, the old adage, “the customer is always right” reigns. It will take a highly-compelling argument to overturn the chargeback and force the issuer to acknowledge the friendly fraud. Generic, one-size-fits-all chargeback responses won’t be able to do that. They won’t win. Here’s where you push pause on the repetitive workflows and insert strategic thinking and intelligent decisions. What will it take to win? Midigator’s technology customizes each chargeback response by dozens of different variables. If you fight friendly fraud in-house, you can use our insights about what works best. Customize by Processor Preferences: There is a chance your processor could terminate the response and never even send your case to the issuer for review. To ensure the processor accepts your case and advances it to the next stage, you’ll need to customize your response to the processor’s preferences. Each processor has different expectations, so responses need to adapt. This can include everything from how documents are ordered to the method used for submission. Customize by Reason Code: Each chargeback is assigned a reason code—a description that helps you understand why the cardholder disputed the transaction. Reason codes also regulate which forms of compelling evidence must accompany your chargeback response. All required evidence should be included, but non-compelling items should be omitted. Customize by Product Type: Compelling evidence requirements vary by product type. For example, a chargeback response for physical goods will include things like delivery tracking information, and a response for digital goods would contain information about usage and download history. Customize by Sales Method: Compelling evidence requirements vary by sales method. A chargeback response for a card-present transaction will be different than a response for a card-not-present transaction. Within those different sales environments, disputes should be categorized even more distinctly—PIN transaction, recurring transaction, MO/TO transactions, etc. Customize by Geographical Location: Regulations vary by geographical location. The issuer’s and acquirer’s location will impact how a chargeback response is handled. Your response will need to adapt for things like timelines and language requirements. Unfortunately, you can’t create a cookie-cutter template and use it for every chargeback you receive. If you want to win, you have to customize your responses. Are you Ready to Fight Friendly Fraud? A tactical approach to revenue recovery achieves the best results possible. However, expecting your in-house team to find time for this added responsibility is asking a lot. At Midigator, we believe the challenge of running a business should be delivering great products or services, not managing payment risk. That’s why we created intuitive technology to automate the entire chargeback response process. You get the best results possible and your in-house team focuses on growing the business. 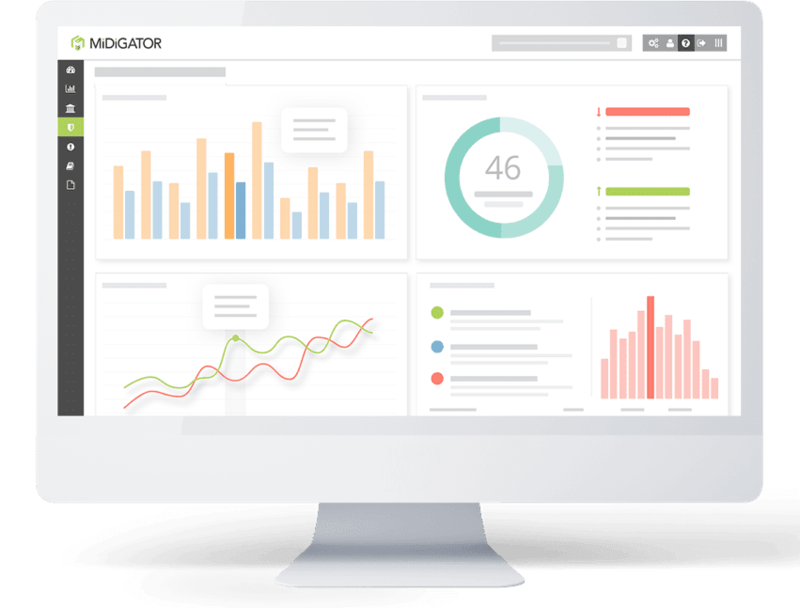 If you’d like to see how Midigator can help your business fight friendly fraud, sign up for a demo today. Want Better Chargeback Protection? Do These 7 Things. Do you want to improve your chargeback protection strategy, but don’t know where to begin? Start here: break down the process into these seven manageable steps. 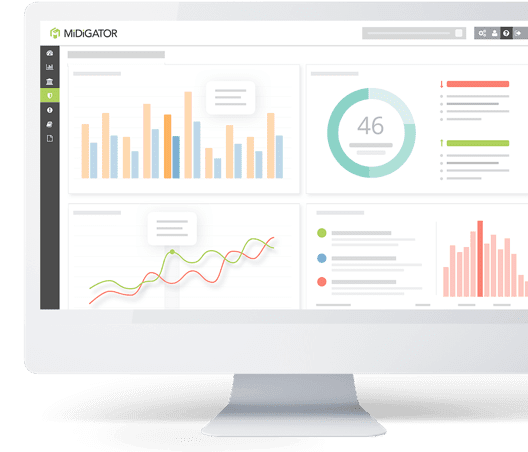 This is the story of how a merchant used Midigator’s detailed analytics to prevent subscription billing chargebacks and increase customer lifetime value. How do you measure chargeback management success? Do you rely solely on chargeback win rates? If so, you are only looking at one small piece of the puzzle. There is so much more to consider.